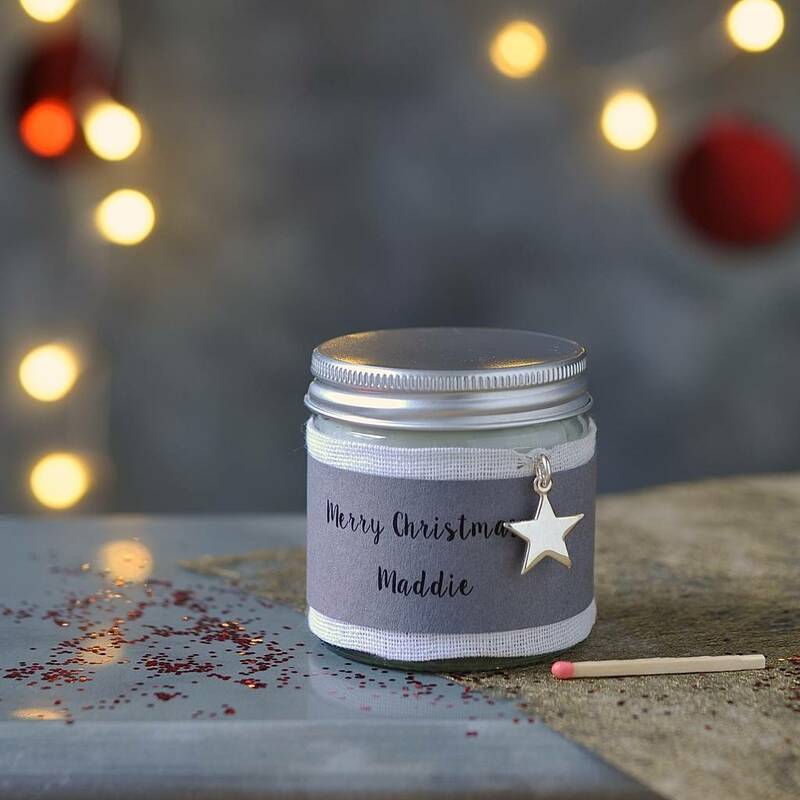 Gorgeous hand poured White Christmas scented candle with a sterling silver star charm for a wonderful personalised gift. 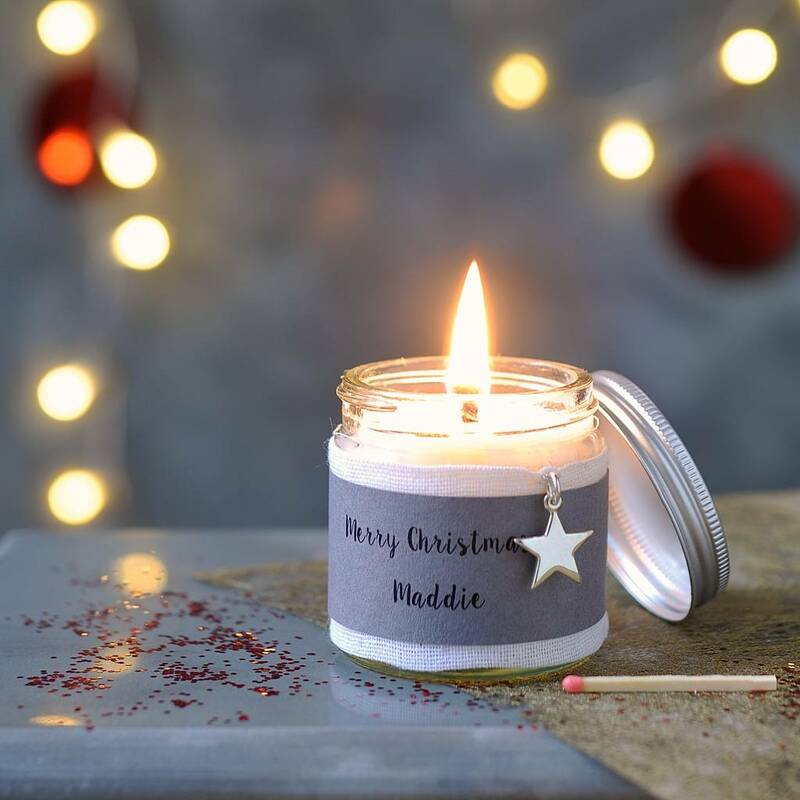 Delight someone this Christmas with a sweet White Christmas Scented personalised candle. These personalised scented candles not only look fabulous, but also smell amazing! And why not make it truly personal by adding a sterling silver star charm with a special message of your own. Scented with a unique White Christmas blend of essential oils, your candle has a signature card sleeve with the message 'Merry Christmas (your name)'. 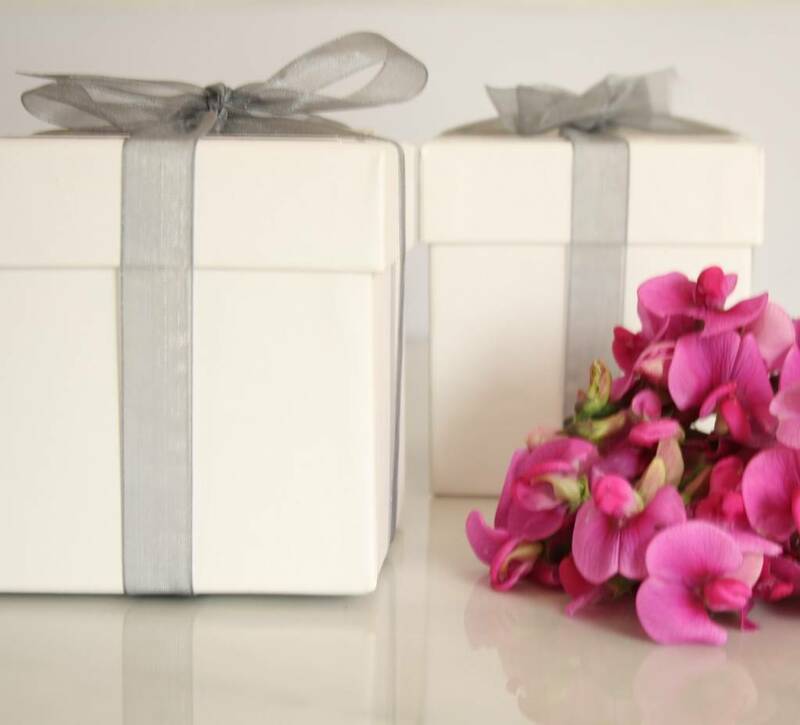 Your candle can be wrapped in cellophane with sheer grey ribbon, or can be presented in a luxury white card box. A special message of your own (maximum of 70 characters) will be also included on a small card. 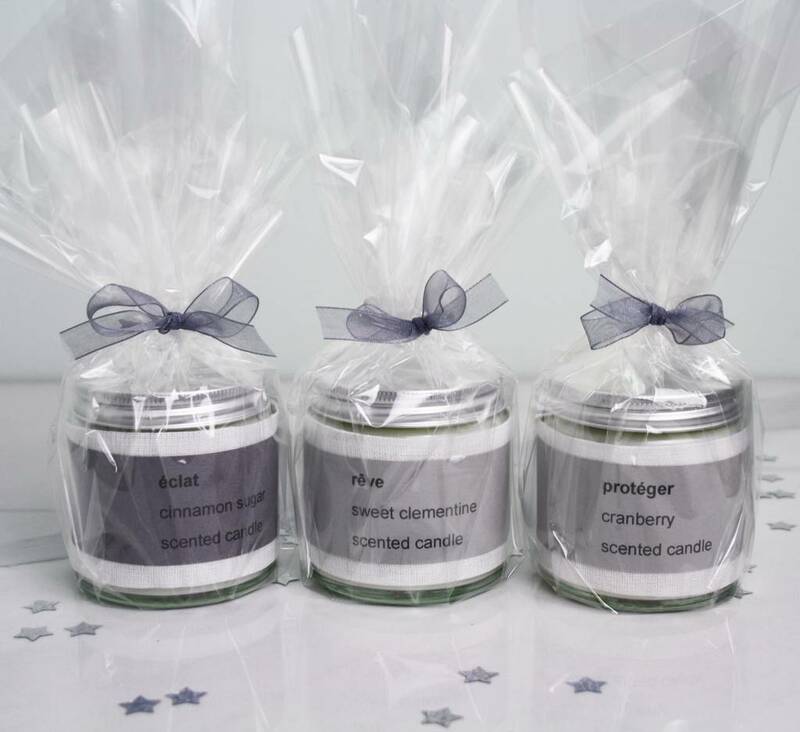 Our range of balancing scented candles are handmade to order with organic, ethically sourced ingredients in small batches. Our hand poured candles are made from 100% natural soy wax flakes, cotton wick and natural essential oils. This product is dispatched to you by Marigold Charms.